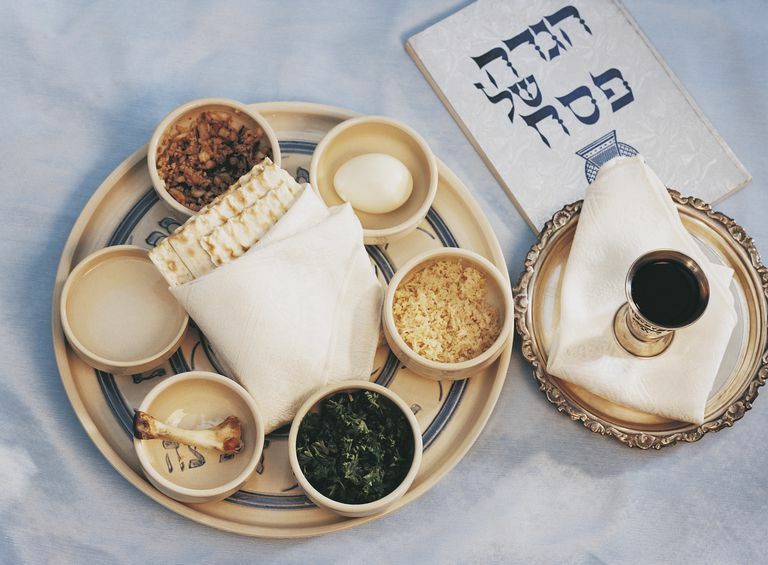 The Four Questions are an important part of the Passover seder that highlights the ways in which Passover customs and foods distinguish the holiday from other times of the year. They are traditionally recited by the youngest person at the table during the fifth part of the seder, though in some homes everyone reads them aloud together. Although they are called "The Four Questions," really this part of the seder is one question with four answers. The central question is: "Why is this night different from all other nights?" (In Hebrew: Ma nishtanah ha-laylah ha-ze mi kol ha-leylot.) Each of the four answers explains why something is done differently during Passover. On all other nights we eat bread or matzah, while on this night we eat only matzah. On all other nights we eat while sitting upright, but on this night we eat reclining. As you can see, each of the "questions" refers to an aspect of what is on the Passover seder plate. Leavened bread is forbidden throughout the holiday, bitter herbs are eaten to remind us of the bitterness of slavery, and vegetables are dipped in salt water to remind us of the tears of slavery. The fourth "question" refers to the ancient custom of eating while reclining on one elbow. It symbolizes the concept of freedom and refers to the idea that Jews would be able to have a celebratory meal while relaxing together and enjoying each others' company. This question became part of The Four Questions after the destruction of the Second Temple in 70 C.E. Originally the fourth question, mentioned in the Talmud (Mishnah Pesachim 10:4) was: "On all other nights we eat meat which has been roasted, stewed, or boiled, but on this night we eat only roasted meat." This original question referred to the practice of sacrificing the Paschal lamb at the Temple, a practice that ceased after the Temple's destruction. Once the sacrificial system was abandoned the rabbis replaced the fourth question with one about reclining during the Passover seder. "The Jewish Book of Why" by Alfred J. Kolatach.